Combine stealth, action and roguelike mechanics in tense VR shooter The Persistence. 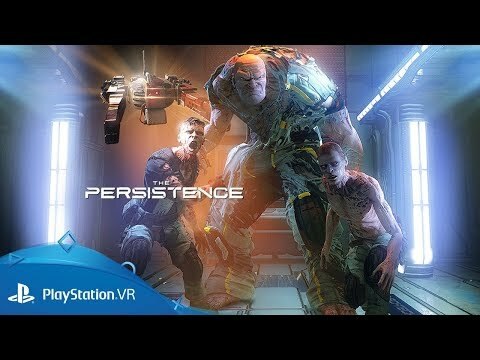 As the sole survivor of a failed deep-space exploration mission, find the strength to overcome your mutated former crew mates in terrifying action roguelike The Persistence, exclusive to PlayStation VR. After a freak dark matter accident, eon-class colonisation vessel The Persistence is left stranded on the edge of a black hole, the entire crew mutated into murderous and horrifying aberrations. Sneak and fight your way through hordes of enemies to repair the foundering ship and make the jump back to Earth. A self-configuring macrostructure imprinted inside the asteroid 19-Fortuna, The Persistence is capable of completely altering its layout at will - and thanks to a malfunction, that's exactly what will happen. Every time you die or teleport between decks, the layout of the ship changes. Every life plays out differently, with different enemies to face, items to find and power-ups to collect and upgrade. Your friends can help you, by connecting to the game with their phone or tablet and hacking into 'Solex' - the ship’s engineering system. Once connected, players get powerful control over the game, including abilities to lure enemies, open doors and disable traps. By helping you, they can upgrade their Solex system to unlock even more powers - like the ability to freeze enemies. But beware: the tablet player can also get rewards if you die, and with the ability to create new enemies and make them attack, you'll want to careful who you trust. Buy The Persistence on PS4.